Wireless presentation remote features a built-in red laser pointer. Remote includes page up and down buttons. Removable USB receiver is included. Laser pointer projects red dot up to 655 feet. Class 2 laser is safer and best for small venues. 1 AAA battery is included. 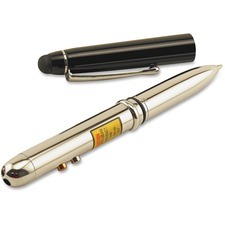 Slim and sophisticated Class 3a laser pointer is the perfect choice for professional presentations. 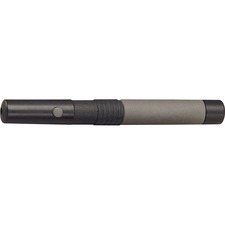 This laser pointer projects a highly visible red dot up to 500 yards and functions as a PDA stylus. Designed for large venues it projects at a wavelength of 645Nm. Includes 2 AAA batteries. Silver. The classic presentation tool. This traditional pointer extends to over two feet to reach high and far, plus contracts easily to fit in your pocket. Laser pointers combine high-fashion and high-tech performance. Contour comfort laser pointers feature a rubberized cushion grip and a handy pocket clip. Projects a brilliant red dot onto any medium, including high lumen overhead, video and multimedia projections. Comes with two AAA batteries. 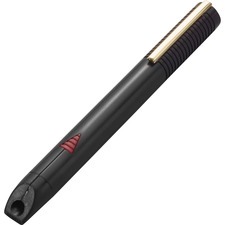 Class 3a laser pointer features a rubberized cushion grip for comfortable use. Pen-style body design is durable and lightweight. Projects red dot and is meant to be used in large venues. Suitable for all mediums. Includes 2 AAA batteries. Black body with gray accents. Basic, everyday use Class 3a laser pointer projects a highly visible red dot. 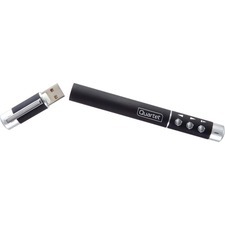 This laser pointer is designed for large venue use on any medium and in all room conditions. 2 AAA batteries are included. High-impact black plastic construction. Pen-style design easily fits in your pocket. Basic, everyday use Class 3a laser pointer projects a highly visible red dot. This laser pointer is designed for large venue use on any medium and in all room conditions. 2 AAA batteries are included. Durable metal construction. Pen-style design easily fits in your pocket. Black. Make your presentations shine with the Wireless Presenter Pro with Green Laser Pointer. The green laser is much brighter and 10 times more visible to the human eye than standard red lasers. Add a comfortable, intuitive four-button design and extended 150' range and you have everything you need to focus on what really matters - your audience. 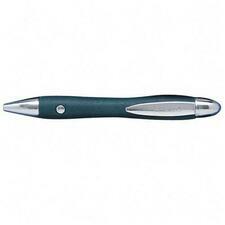 The green laser pointer provides forward and back control of PowerPoint and Keynote with no drivers needed. Wireless receiver stores inside. User-friendly design fits comfortably in the palm of your hand. 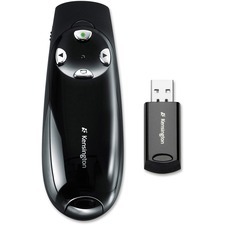 Wireless Presenter Pro also features 2.4 GHz wireless technology, an on/off switch, low-battery indicator, and two AAA batteries. The included carrying case protects the Presenter on the go. Lead your class with this four-in-one tool. Safe, effective laser can be used for short distances or across the classroom. Refillable ballpoint pen provides a smooth writing experience for comfortable handwriting. 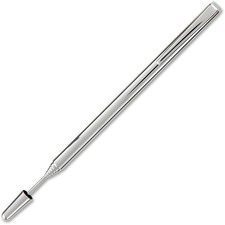 High-quality stylus can be used on any touch screen for easier writing and navigation. LED flashlight shines brightly for everyday use or emergencies.